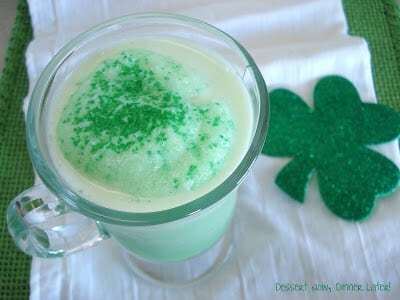 Shamrock Slush - Dessert Now, Dinner Later! 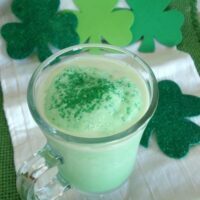 This is the last St. Patrick’s Day recipe I have for you this year. Surprise! 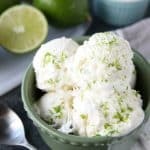 It has LIME in it just like the Key Lime Cupcakes & Tangy Lime Bars! 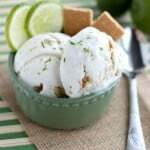 I love my lime! This drink was so fun for my kids to drink. They loved watching me put it all in the blender & mix it up. They were so excited to have the “green drink.” It is tangy & sweet & smooth. We loved it & your family will too! 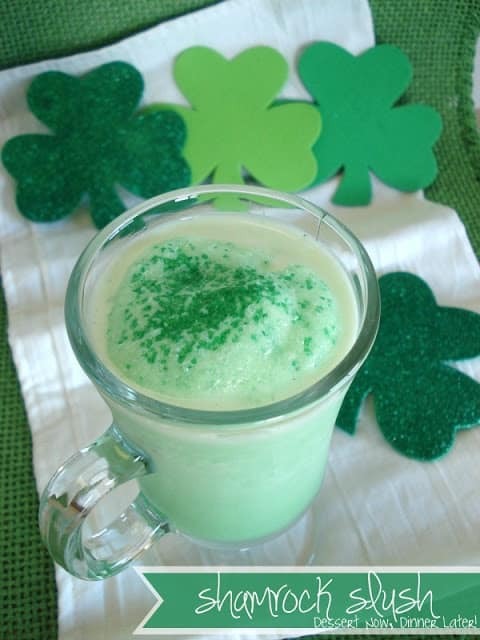 If you don’t make anything else for St. Patrick’s Day, make this. 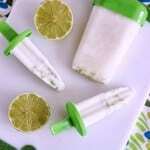 It’s so fast & requires no preparation besides a quick trip to the store for 3 ingredients. Place all ingredients into a large blender. Blend until smooth. Serve immediately. Top with some shamrock dust (green sugar crystals) if desired. 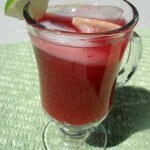 The grand kids will love this bright festive drink! Oh my goodness! This looks super tasty 🙂 Found you over at My Recipe Magic…your newest follower. Have a great day!! I love lime drinks! What a fun idea for St Patrick’s Day! This looks delish!! Love the name of your blog. You have a very cute blog love all the fun themes. This looks so good amber. Your site looks fantastic. It was fun meeting you at the BYBC.